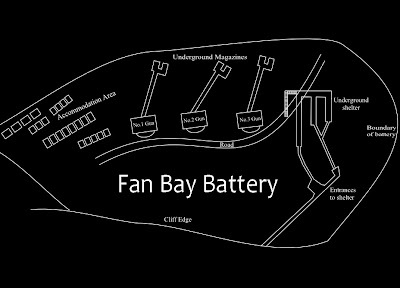 Fan Bay Battery AKA Fan Hole Battery was one of a number of Coastal Artillery Batteries constructed on Dover's cliffs at the beginning of WW2. 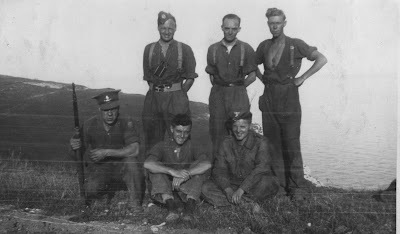 It is was located just above Fan Hole, a natural dip in the landscape and consisted of three 6" Guns, a similar design to Lydden Spout Battery, West of Dover. 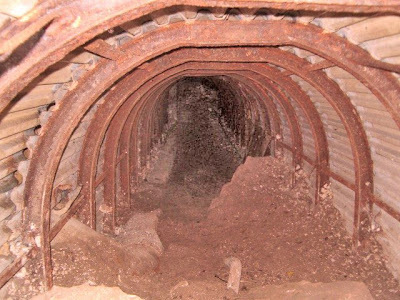 It was manned by 540th Coast Regiment, and was equipped with a Deep Shelter, Plotting Room and all the other buildings associated with this type of battery. During the 'Eyesore clearance' programme of the 1970s, all of the surface buildings and gun positions were destroyed. Now nothing remains apart from some piles of broken concrete at the edges of a ploughed up field. 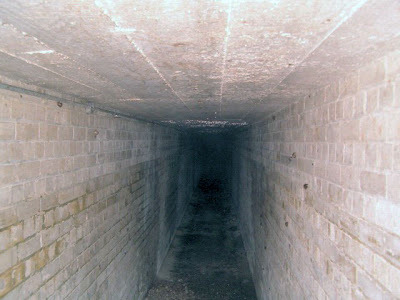 However, close to the main footpath are three holes in the ground, which lead to the underground magazines for the guns, and nearby a larger hole, which is the entrance to the shelter. 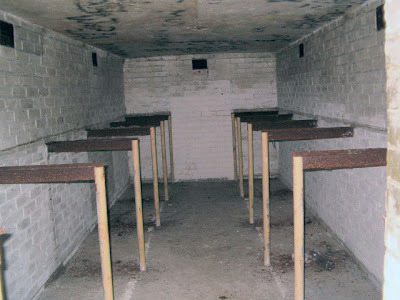 The shelter is constructed in the usual contemporary style, with steel shuttering and iron girders for support. Some sections remain unlined, and are very unstable. 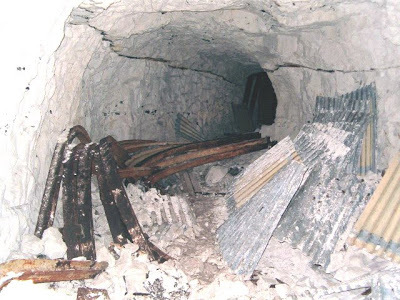 It is aparent in one section that dissassembly of the inner lining began, as metal girders and sheets of steel lay on the floor. A great deal of 1940s graffiti exists from the tunnellers in the unlined ends. The magazines were built in concrete and covered over, so remain in good condition. 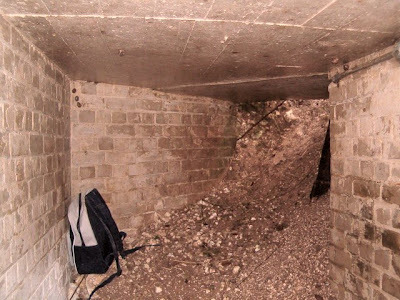 Today, concrete remains of the battery and holes in the ground indicating subterranean features, can be seen from the cliff-top footpaths paths between Dover and St Margaret's. Update: November 2015 - The deep shelter has been acquired by the National Trust, the main entrance cleared, secondary entrance opened and sound mirrors excavated. Lighting has been installed throughout and it is now open for guided tours. 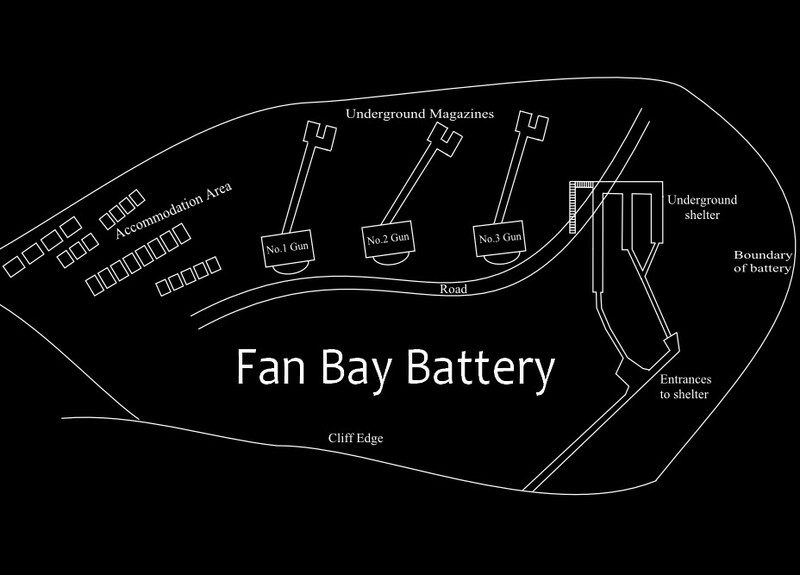 Been trying to find the fan bay shelter for ages but noone wants to give the location. Anyone help... even ifs its a rough location. Really wanna check this one out. 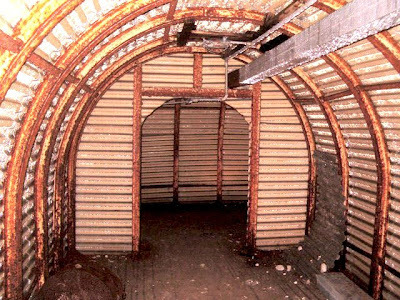 can anyone confirm if asbestos is present in the deep shelter please?